As I am writing now, I have already returned to my cosy room in Berlin, Charlottenburg and have spent a day trying to get back to my everyday life here. So, the pase of this writing will not be as alert, yet I promise I will try to keep you entertained. After writing the last blog entry I went out for a walk on the near by Leninski Propeskt. 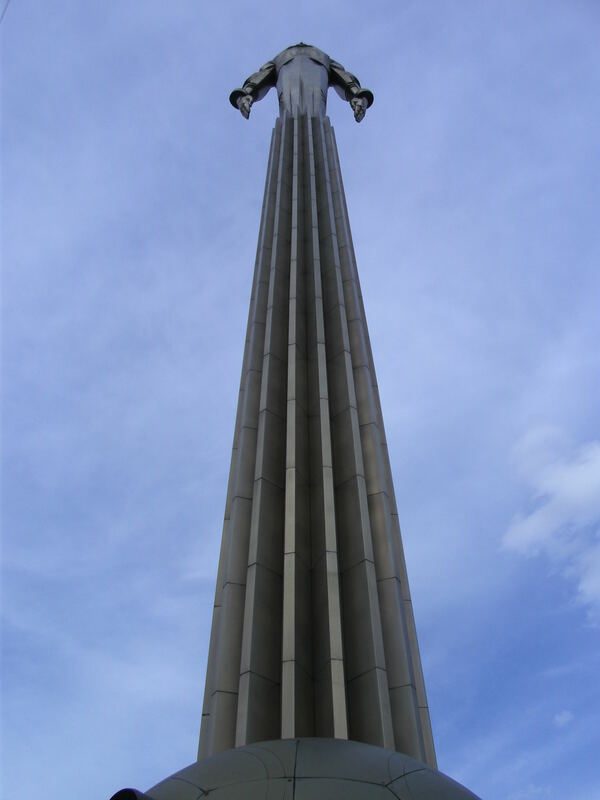 The first of surpizing elements someone brought up in Romania would find in the moscovite urban space. 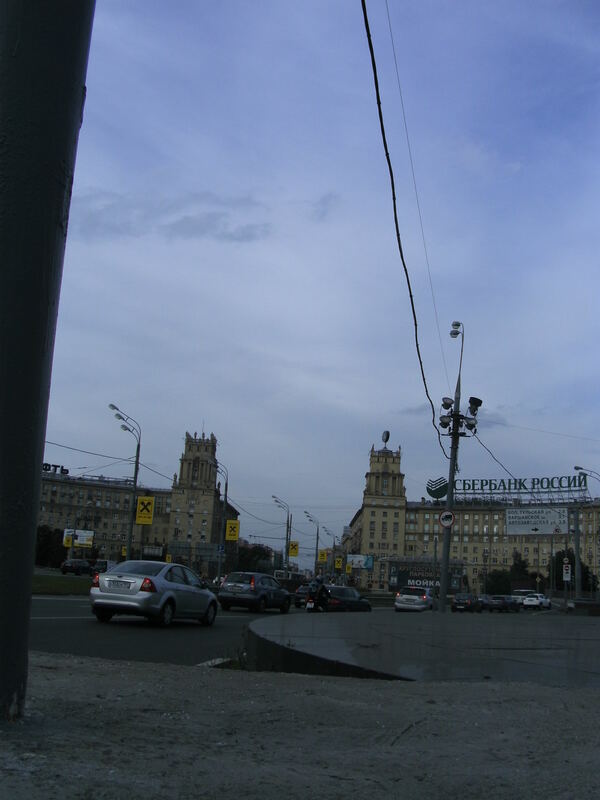 In Bucharest and other central and eastern European cities, there are no more boulevards named after famous communist party leaders. In Moscow there has been no such break with the past. Of course, this is not the case when speaking of Stalin, who had been already been condemned during the socialist time. 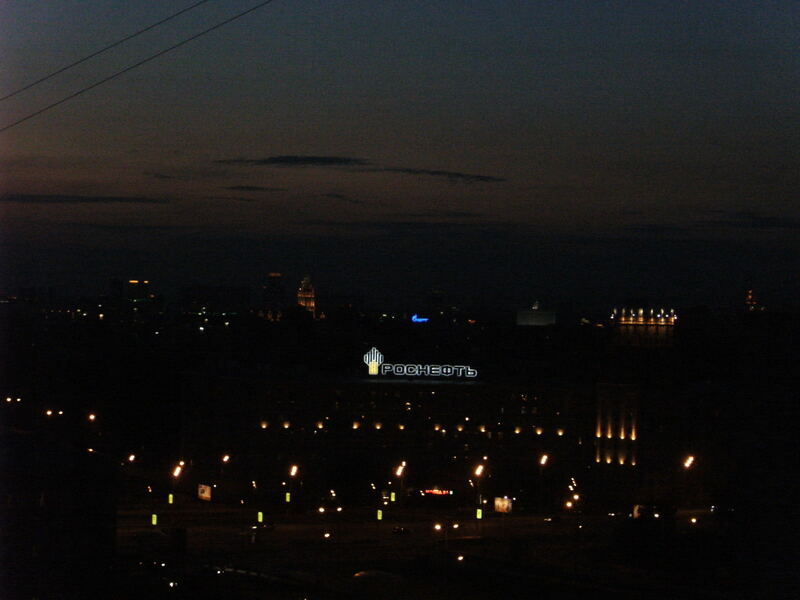 Anyway a bit amazed by the dimensions of urban space symbolic monuments, I returned to my room in the guest house to enjoy the view of a sunset over Moscow… and get ready for the next day, as I had important things to do. I woke up quite late the next morning and unlike a proper tourist did not feel guilty about it. Also unlike a proper tourist, I did not go to the Kreml and the Red Square, nor did I take the queue to see Lenin’s mausoleum. 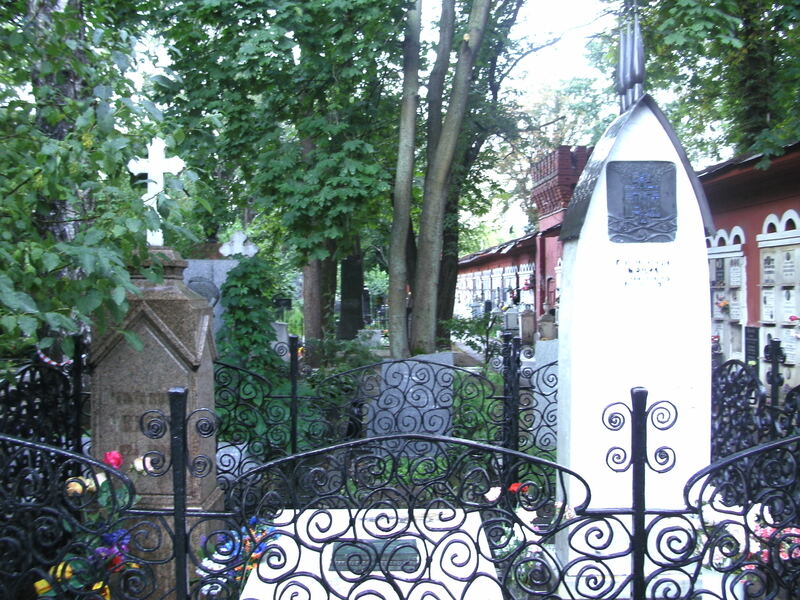 I chose to spent my first morning in Moscow at a graveyard, namely the Novodevichy graveyard or the graveyard of the young lady to the English speaker. I went there and met a number of people who mattered to my life and had a cigarette close to their graves, for most of them enjoyed having cigarettes more than receiving flowers. My first stop was Nazim Hikmet. Not many people know, that the Turkish poet spent his last life years in Moscow after running away from Turkey with a boat over Romania. 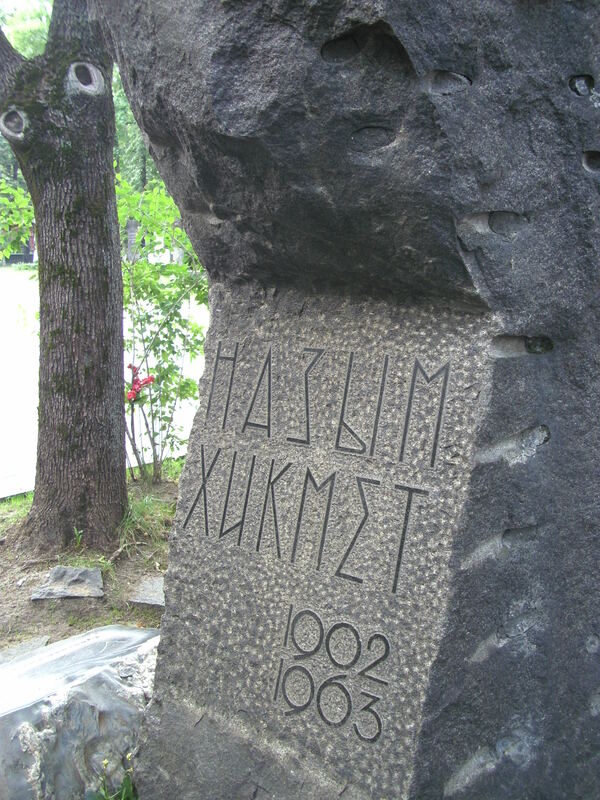 In the English list of famous people burried in this cemetary (which of course you have to buy, unlike the Russian one) he is listed as Nazim Khikmet, poet (Turkey). He is the only one to which a country has been added. His wish was to be burried somewhere in Anatolia without a gravestone, but as we can see not all things that happen to us depend on what we want. and yet at his grave I was confronted with death, not only with his death, but through his death with the death of all those of us, who love living, some of the time or most of the time. As I stood by the grave being struck by the reality of death, I almost cried (as those who know me well, know I never do) and a woman passing by asked me if he was my father. I said he was a poet. Only later did I realize that she had asked me in a Turcic language (she said baba) and not in Russian, which I tried to use to respond. 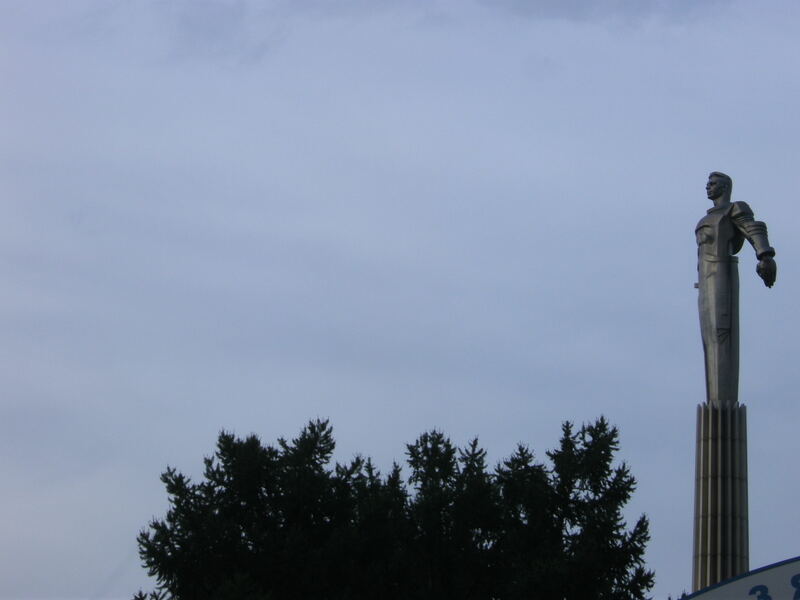 I did not succeed in crying, but shortly after I left rain started to fall. My first rain in Moscow. 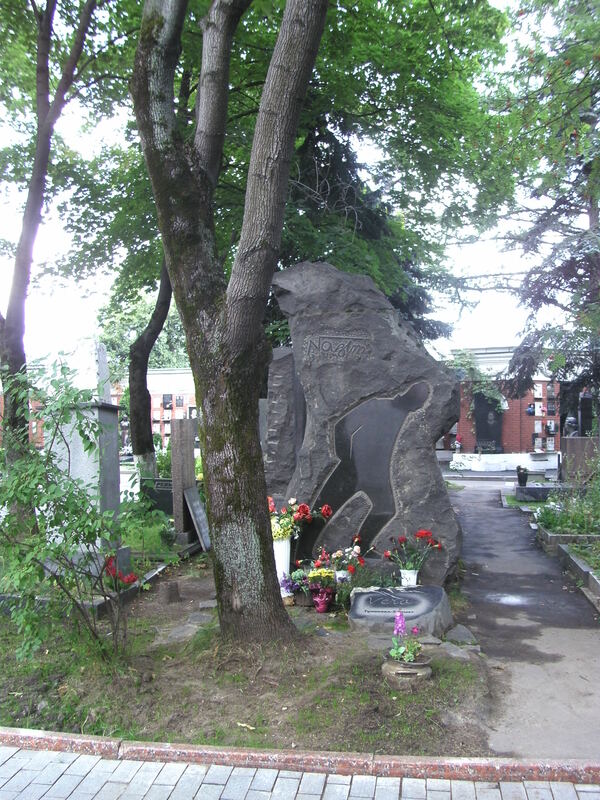 I originally wanted to go to Tschechov’s grave after Nazim’s but in the last moment I decided for Tolstoi. I wandered around the cemetery for quite some time (the map was terribly badly done, the grave lines were marked on the map, but not in reality so one had to count every encountered grave, just to know where one is). And the rain had become quite heavy. I saw an old woman bowing to water a grave and was surprized at her obstinate loyalty. The drops of water from her watering can were nothing against the rain and she got wet to poor them onto the grave of someone she cherished. 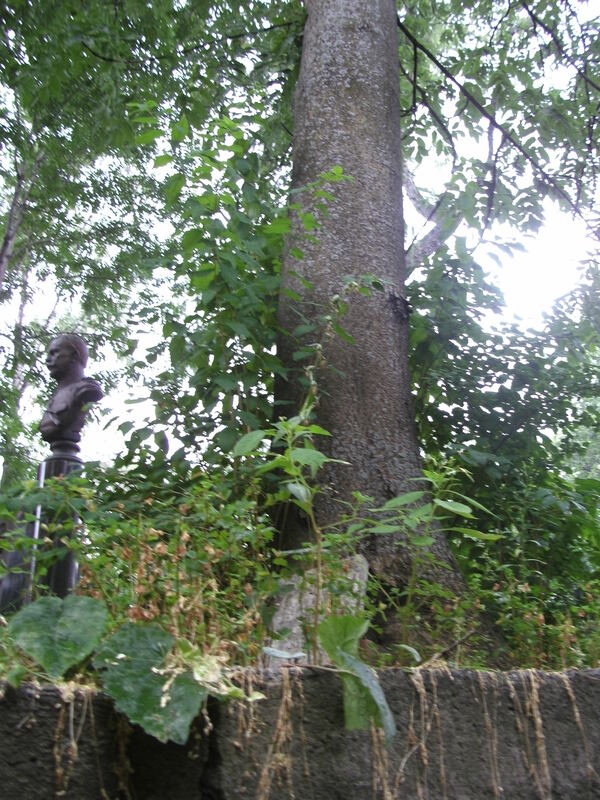 I tried to find shelter and a tree saved me from getting soaking wet, as I looked down at the roots of the tree, I noticed the small grave of someone who had died in 1921. The tree that had grown from it was sheltering me now. 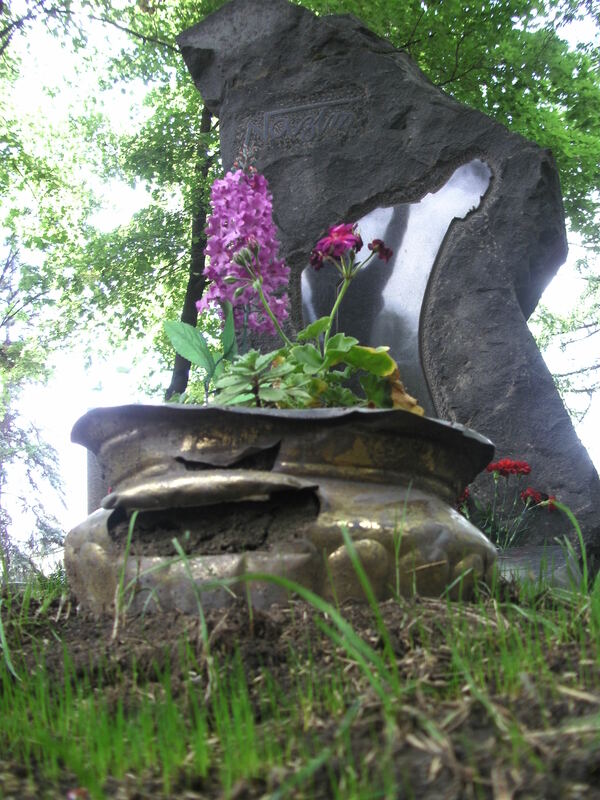 I couldn’t find Tolstoi’s grave, no matter how long I looked for it and decided to return to my original plan, namely Cehov. I am sure Nazim Hikmet and Anton Cehov would have gotten along, had they been contemporanies. Now they are neighbours and both receive my visits alone. 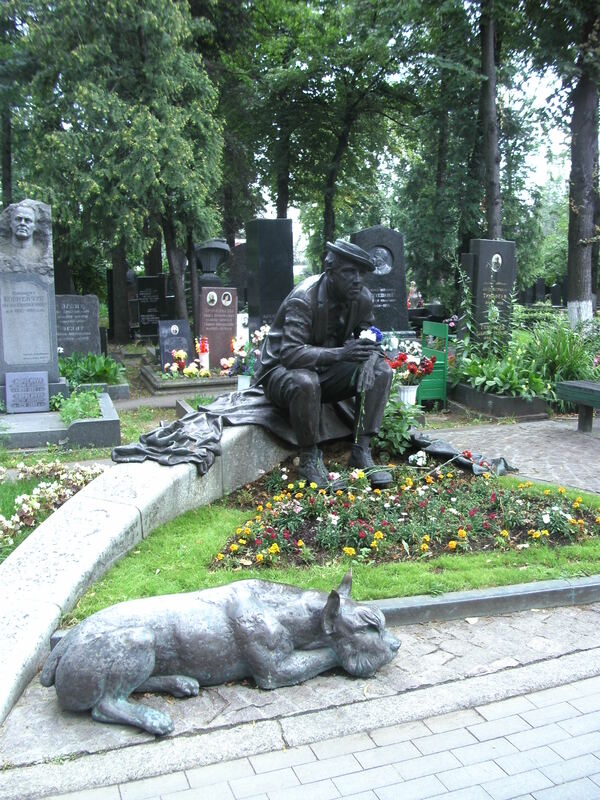 Cehov died of tuberculosis that he had contacted when visiting the punishment colony Sachalin, to be close to his neediest fellows, as he put it. I never regretted spending time with one of his books and he seems to me from the little of him I have read, one of the wittiest and most beautiful souls. Here we find him with his wife. 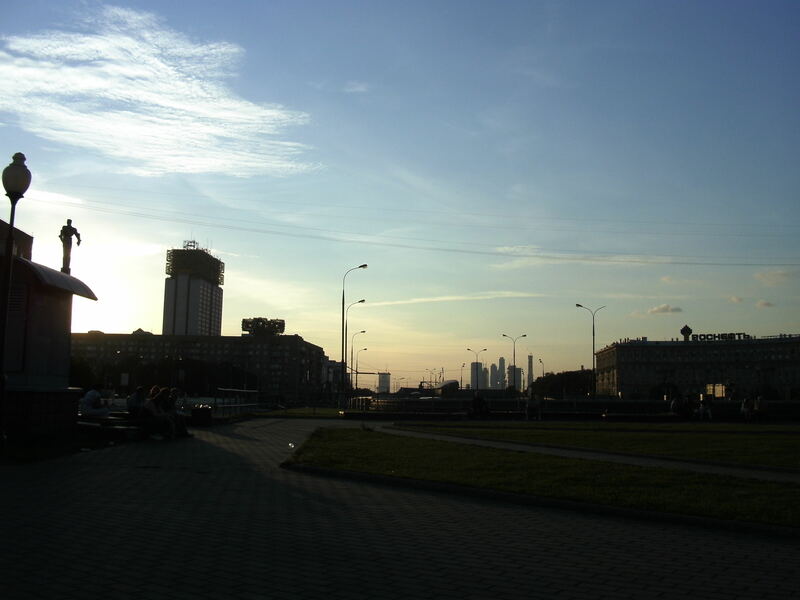 So, I guess I will write my Moscow memories in a series of small episodes, so as not to bore you when reading.There is still a little to tell, so i hope you will bare with me for at least one more episode.